Hi, I'm Milo. I’m adopted! 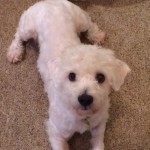 Milo was adopted September of 2014! 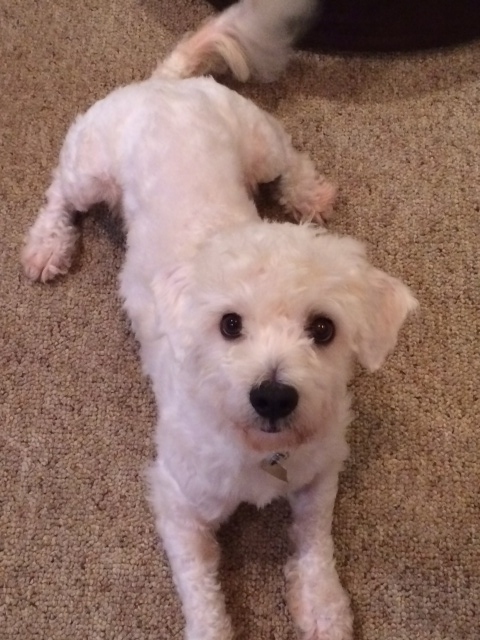 Milo is a playful and loving dog who is looking for a good home. He is very smart and loves learning new tricks. Milo enjoys going for walks and playing fetch with his toy duck; he is quite the gentleman and even brings his toys back to whoever is throwing it for him. He goes from running around in the back yard to curling up on the couch to watch a good movie. Milo likes meeting new dogs, but can be intimidated by larger dogs. He does not like staying in a crate all day, but is house trained and hardly gets into any trouble when left out. Milo loves to play, but is very gentle. He is a big sweetie and is sure to give his new family all his love. If you are interested in Milo. I’m adopted!, consider letting us know by filling out a (no-obligation) adoption application. Please consult our Adoption FAQ before contacting us. Milo is NOT expecting to attend the next adoption show, Sept. 20th at the Annapolis PetCo, as the SHOW HAS BEEN CANCELED.